Avenue G is just one of the Glasgow West End’s great cafes and luckily there are 2 branches. 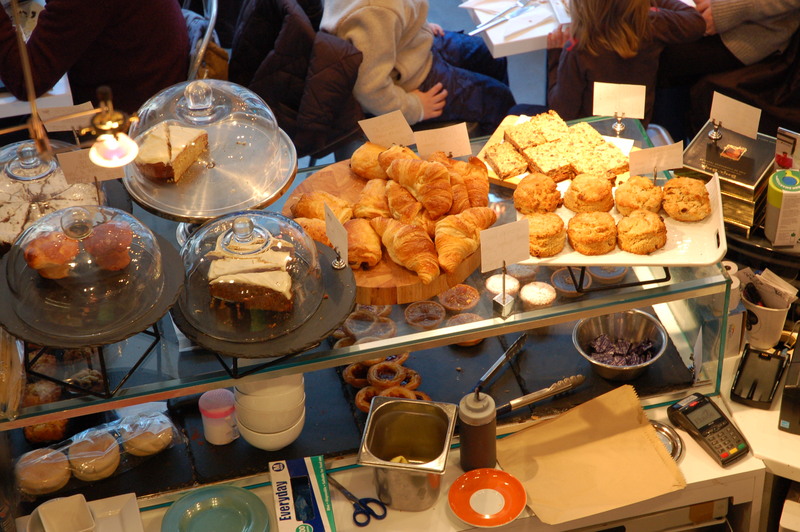 The first opened in Byres Road 4 years ago and has proved to be very successful with excellent coffee, freshly made cakes & bread and soup & scones that are made in house. 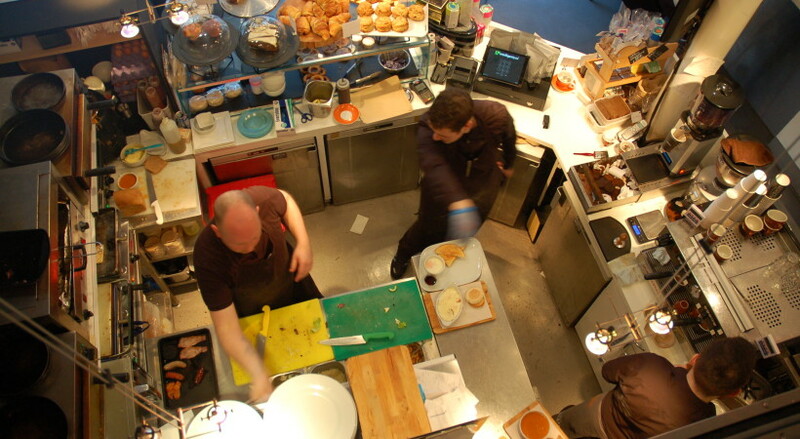 They also make great sandwiches and they use lots of lovely Scottish produce. I love to sit upstairs so that I can look out of the window onto the comings and goings of Byres Road and watch the staff working below. And so that I can keep an eye on the baking! 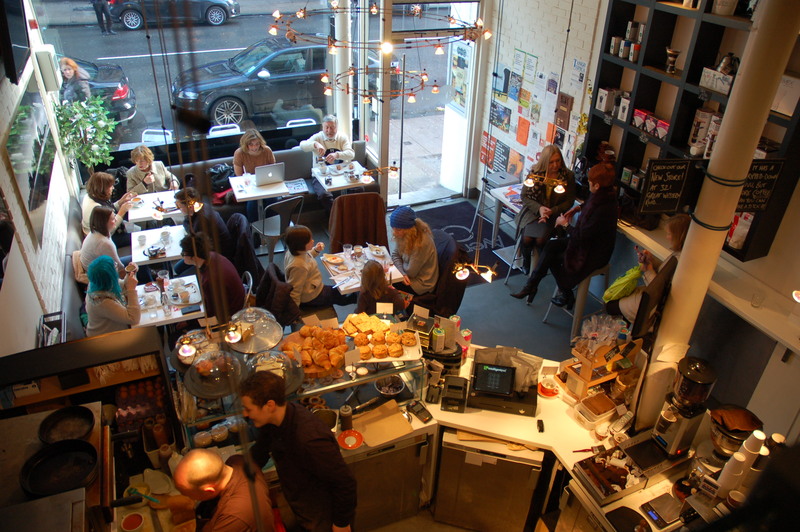 As they say themselves ‘Coffee is what we do’ and about a year ago they opened a 2nd premises The Avenue Roasting Company in Great Western Road, with their own coffee roaster. 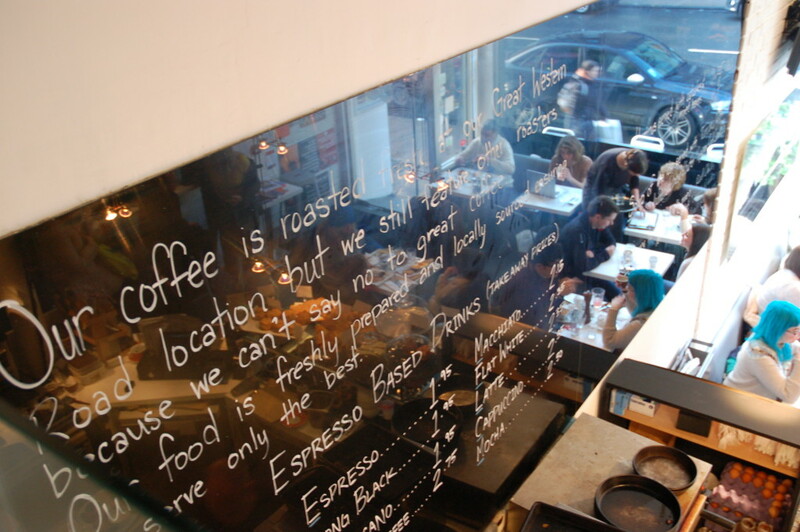 This cafe has the emphasis on coffee, although they still do very good food. You can buy their coffee beans (or have them ground) from both branches. My Home Bakery – Eat More Cake!